Exfoliates and revitalises your skin. The glove is soft and as light as silk, but when massaged over your body, works better than any other exfoliant. As you massage your skin, you actually see the residue of dull, devitalised skin being removed. You will actually see dead cells that build up and make your skin look and feel rough, gray, dry and thickened. Dead skin limits the flow of oxygen to your tissues and the absorption of creams.By removing the layer of dead skin your skin is renewed faster, allowing fresh young cells to surface. This makes your skin look younger and suppler, more compact, uniform and radiant. But that’s not all! It also improves your complexion, giving you a healthy pink glow and diminishing the spots that form on your skin over the years – especially on skin that has been “mistreated” by exposure to the sun or tanning lamps. The Magic Peeling Glove has won the International Inventors Award of Geneva. The outcome of five years of testing at the University of Pavia in Italy, the Magic Peeling Glove has received top ratings from the Pharmacology Institute of the University of Pavia. This institute has certified its effectiveness and complete tolerability for any type of skin, even the finest and most delicate – like facial skin. What does the Magic Peeling Glove do? What benefits can I expect? It’s important to keep your face and body smooth and silky in order to fight aging by using the Magic Peeling Glove treatment at least once a week. This treatment cleanses your skin deep down, making it more radiant and elastic. Over the years, and specifically between the ages of 25-30, the cell renewal process slows down. This means our skin starts to look dull, with an uneven thickened texture. In some cases, our complexion can look uneven, because dead skin cells build up on the surface. However, even before the age of 30 our skin needs exfoliating action: a metropolitan lifestyle and contact with pollutant particles can negatively affect cell turnover. Air pollution not only threatens our health but also our looks! Every day, air pollution attacks plants and monuments – and also our skin. The presence of oxides, hydrocarbons and particles of heavy metal, particularly iron, blocks normal epidermal respiration, damaging the skin’s natural protective film and promoting the production of free radicals, which accelerate cell aging. This is why the number of people who suffer from hypersensitivity and allergies, even at a young age, continues to rise. Delicate, vulnerable skin with a tendency to redden easily, problems with fragile capillaries, irritability or even allergies. Dry, dehydrated skin, in some cases with a tendency towards oiliness. These are the characteristics of hypersensitive skin, and dermatologists have noted a constant increase of people with this kind of skin. after your summer vacation, when your skin feels dry and thickened, Magic Peeling eliminates the remains of your tan, immediately making your skin smooth and supple. But that’s not all! It helps prevent and lighten small dark spots on your face, hands and bust caused by the sun. Magic Peeling is also extraordinarily effective against stretch marks and for skin that has suffered from acne (with the same results as peeling procedures performed using more aggressive traditional methods). If your back, legs and arms have blemishes, pimples or particularly rough skin, the Magic Peeling Glove will instantly make your skin smooth and soft. If your facial skin looks dull and lifeless, Magic Peeling will restore a healthy, radiant complexion. This is why Magic Peeling is indispensable not only for mature skin, but also for younger skin. Its exfoliating principle purifies the skin, getting rid of harmful substances. It improves the flow of oxygen to the skin and stimulates cell metabolism, neutralising the corrosive effect of pollutants, stimulating cell respiration and slowing down the skins aging process. Step 1 – Soften your skin by bathing or staying under a very warm shower for at least 5 minutes. You will achieve the best results by using the Magic Peeling Glove after a sauna or Turkish bath. Step 2 – Rinsing is essential – thoroughly rinse the skin of all soaps, bath foams, detergents and oils, because they can reduce the exfoliating action. Step 3 – Wet the glove and squeeze out the excess water. The glove should only be used on wet skin, not under a stream of water. Rub the skin vigorously in a vertical direction, until you see flakes of exfoliated skin. The treatment is recommended at least once a week, for young skin. If your skin is older and more mature, at least twice a week. This should only be used a s a guide, as everyone has different skin types. 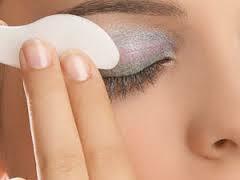 If you have cosmetics products on your skin, remove these first with solid natural soap. For hygienic reasons, we suggest that only one person use the glove. The Magic Peeling Glove has been clinically tested under the auspices of the University of Pavia, Italy, as an excellent hypoallergenic treatment for even the most sensitive skin types. I've been using the glove for years and love it! I have used this product before but these were for gifts. I love this glove and will be purchasing more for myself and another gift.